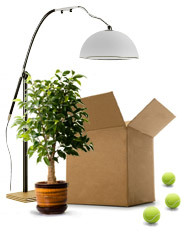 Removals West Kensington – London Moves are your local house removal and office removals company specializing in all aspects of removals, storage and packaging for private and business customers. 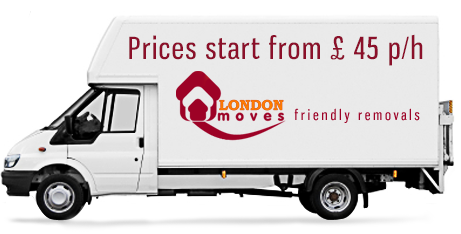 We specialize in house removals, office removals, domestic removals, house moving, office moves, packaging in London and up to 100 miles radius from. West Kensington encompasses area at eastern edge of the London Borough of Hammersmith and Fulham as well as western part of the Royal Borough of Kensington and Chelsea. It is situated in Zone 2 within 10 minutes walk of High Street Kensington, Fulham, Hammersmith, Baron’s Court and Earl’s Court. A4 motorway bisecting the district north/south provides a very good connection with both Central London and Heathrow Airport. The area has also excellent links with other parts of London.West Kensington tube station, where District Line is available, is located right beside the Cromwell road/Talgarth road. Earl’s Court, Baron’s Court and Kensington Olimpia stations are within walking distance as well. There is also a great number of buses running through the district from Hammersmith station to miscellanous directions. In spite of a few offices concentrated around North End Road and Cromwell Road West Kensington is mainly a residential area. With plenty of large luxury Victorian terraced houses the disctrict is popular among bankers and financiers. Some of the properties subdivided into flats of good value and rented for reasonable prices attract young professionals.All these inhabitants share W14 postcode and make a pleasant, safe and quiet community to live in. With its funky bars and pubs as well as close proximity of such shopping and cultural centres as High Street Kensington, Hammersmith and Earl’s Court West Kensington offers numerous occasions for socialising and entertainment. Several gyms and libraries as well as small areas of shops and enormous 24 hour Tesco cater for everyone’s needs. Locals can also benefit from the North End Road Market, which has existed since the 1880s. Stalls offer almost everything one can think of – from fresh fruit and vegetables to toiletries, clothes and home accessories. All in all, spacious houses, quiet streets and easily accessible shops and city centre make a perfect residential location out of West Kensington.